In the annals of Oxford and Oxford University it is extremely difficult to do anything that is either completely original or new. The stones of Oxford do seem to some to have a slightly cynical ‘seen it all before attitude’, which indeed to be fair, they largely have. When Rabbi Eli and Freidy Brackman of Chabad House in Oxford, gained the funding and consent to build Oxford’s first mikveh in 800 years, they may be said to have achieved something genuinely of historical note and at least, nearly novel, as far as Oxford is concerned. Oxford is a place of ancient Jewish habitation and it appears that there may have antecedents to the mikveh to be, on Cowley Road. There may well have been two or more mikvaot in Oxford during the medieval period. This article will trace the evidence for these mikvaot and their locations. The building and use of mikvaot has always been considered of first importance in traditional Judaism – even meriting construction above and before the communal synagogue or the purchase of Torah scrolls. The medieval Oxford Jewry was one of the most important and wealthy in England, even if the numbers of Jews living in Oxford were relatively modest. The Oxford Jewry played host to one of the most learned and important rabbinical dynasties in England as well as it would appear a house of learning; a Talmudic Academy. The provision of a private or perhaps even a communal mikveh would have been almost certain in Oxford. Jews lived in Oxford not long after the Norman Conquest, even before Oxford’s first true college had been founded. They played a part in the rise of the University. Jews even had a role in the founding of Merton College, Oxford’s first definitive college, founded in 1264. Jews lived in Oxford until the General expulsion of the Jews in 1290, and even then a small group of converts appear to have continued living in Oxford into the 14th century. Jews returned to Oxford in the 17th century. In time, with Jewish emancipation and the relaxing of the authority of the Church and University, Jews were permitted to study at Oxford as students and eventually to become academic fellows. Today some 8% or more of students in the University are Jewish and many academic faculty are Jewish, including heads of college. There is no unequivocal documentary evidence for the existence of a mikveh in Oxford. However, they are never directly mentioned as such in English official records, as the Christian authorities did not seem to understand their significance. The discovery of English mikvaot has largely been as the result of archaeology or archaeological research, such as the two discovered in the City of London; Gresham Street and Moscow / Milk Street, in recent times, and Jacob’s Well in Bristol. The medieval mikvaot were almost entirely spring-fed, technically a mayan, the most halachically superior form; and the most pure and indeed self-purifying, as opposed to rain-fed mikvaot. Some of the mikvaot were contained in elaborate and deep stone structures, particularly in Germany. The medieval mikveh had all of the modern uses that are found in the Orthodox community today, in terms of the maintenance of family purity, the immersion of converts and tevila the ritual preparation and cleansing of utensils and vessels. However, the use of mikvaot to bath and cleanse the dead was, it would seem, common in that era. The use of a local mikveh for both the living (i.e. Jewish women) and the dead was apparently not unprecedented. There are extant rabbinical opinions that communities should refrain from the practice as it put the women off from using the mikveh to maintain family purity! The evidence in England certainly places a number of mikvaot near to cemeteries rather than the Jewish quarter, though there are also equally examples clearly associated with the houses of leading Jews as well, such as the recent Moscow Street Mikveh found in the City of London. Medieval Oxford may well have had both kinds of mikveh associated with the houses of the leading magnates and the cemetery. There are indications that Jacob's Hall, which stood on what is now 121 St Aldate's, better known as the Abbey National Building Society, may have had a mikveh. This property was purchased by Jacob in 1270, and in its day was one of the largest and most luxurious residences in Oxford. The property belonged to Jacob of Oxford, and after his death to his son Moses, between 1270 and 1279. Jacob was an important financier, and a patron of Jewish learning. He was a member of Oxford's distinguished line of rabbis and scholars. The balance of evidence is such that if there was a Talmudic academy and a mikveh in Oxford (which there almost certainly were) then they may well have been there. The speculated mikveh could have been on one of two sites at Jacob’s Hall. One possible site was in the garden of the hall. Records relate the hall was L shaped and had a second frontage in adjacent Queen's street. Crucially, it had a large garden and a well purchased from a Jewish neighbour. This could have been the mikveh or communal water supply. Additionally, the mikveh could have been under Jacob’s Hall in the cellars. There were striking subterranean remains of Jacob's Hall surviving until the early 20th century, in the form of substantial and ornate Gothic cellars, said to be ‘perhaps some of the most curious ranges of cellars in the whole of England’. Some of these might have been remnants of the fore-buildings of a mikveh or alternatively a private Jewish conventicle. The cellars over-all were very extensive and linked to other cellars in the street - It was possible, until early this century, to cross the street underground, and emerge from other cellars some way further down the other side of St Aldate's! However, the cellars of immediate concern were under the Hall near the Carfax junction. This range of cellars included one with elaborate arcading, complete with a strange sub-cellar, the passage of which survived into the 19th Century. This could possibly have been part of a subterranean mikveh structure, similar to the surviving examples in Germany, which were deep under ground with a variety of antechambers at different levels. The arcaded chamber could have been a fore-chamber before the actual mikveh itself at the lowest level. Alternatively this assemblage is similar to the arrangement at the postulated medieval conventicle or synagogue excavated in Guildford. The final piece of evidence is that until 1681 there was a pub in St Martin’s parish called, ‘The Unicorn and Jacob’s Well’. The name, ‘Jacob’s Well’ is very significant as it is often a reliable place name relic or memory of a historic local mikveh. In this case it may refer to one attached to Jacob’s Hall. Jacob’s Hall was firmly in St Martin’s Parish and indeed a St Martin’s Parish boundary marker is still preserved intact inside modern Marks and Spencer. Not all uses of ‘Jacob’s Well’ are necessarily evidence of a mikveh, but many of the medieval derived names are, such as in Bristol. It would be very surprising if there had been no mikveh at all in Great Jewry Street (now St Aldate's) in Oxford. There may even have been more than one. The evidence from London shows that the mikvaot were most likely to be associated with the private residences of the leading Jews of each Jewry. The Moscow Street Mikveh, as an example, was at the rear and in the cellars of a property held by one of the leading London Jews. It was a large and elaborate structure of a fine and high quality construction. When it was first excavated, I was privileged to descend into it by a ladder and found myself in direct touch with our medieval Jewish fore-bearers. One earlier asserted mikveh excavated in the City, was a much cruder affair of green sand stone blocks, but in a similar type of location. The Oxford mikvaot could therefore have been on a grander or humbler scale, but they were most likely to be there under the rear of the properties of the leading Jews. The next possible mikveh in Oxford was sited within the original Jewish cemetery or ‘Jews Garden’ of the 12th and 13th Century, on a site that is now that of Magdalen College. This was clearly of the second type linked to cemeteries. The original Jewish cemetery (founded. c. 1190 - 1231) was established on vacant low laying flood-lands next to the west bank of the river Cherwell, outside the East Gate of the town. The cemetery covered an area approximate to the extent of the present day medieval buildings of Magdalen College, but the finds of burials this century (1913 and 1976) suggest that the actual graves were confined to the driest south-western side of the cemetery (i.e. St John’s Quad, and Chaplains' Quad near the tower). The rest (the most poorly drained area closest to the Cherwell) was probably an area planted with trees and shrubs, and a profusion of escaped garden herbs and other plants. It is possible that the south-east ‘garden’ corner of the site contained a ritual bath for bathing the dead and perhaps even the living. The 1987 excavation revealed a remarkable spring-fed stone culvert in the old St John’s Hospital Chapel, which according to one’s interpretation and dating of the mason's chisel marks, could date from the time of the cemetery rather than the Hospital and the chapel that superceded the cemetery. The culvert was an exceptional piece of masonry. It was essentially a long stone trough, with steps descending into it, with probable communication with the river Cherwell at both ends and the means to control the flow of the tributary of the river through it. It might possibly have been supplied by a spring, if not the Cherwell, in so far as at least one active spring, the Crowell, was in the near vicinity. If it was a mikveh, then it is of an unusual design as most mikvaot only have a small bathing pool (such as in the Bristol example), though a mayan has no halachic restrictions on its dimensions and larger bathing pools are known with this type. If in fact it was a later Christian structure, then it is speculated, that since it ran through the later hospital chapel, it could have been used for some kind of baptismal ritual for the inmates of the hospital. After all John the Baptist was well known for his ritual immersions in rivers. It is not clear which way to date or identify the culvert – the evidence is quite finely balanced. If it was a Jewish structure, then it was exactly where one might expect to find it, close to a Jewish cemetery and a good water supply. The quality of construction, in terms of its use of fine ashlar block work, (if not the design) are commensurate with other Jewish communal structures, such as the Moscow Street mikveh, the latter again had exceptional ashlar work. In terms of location and function there was close parallels with the Jacob’s Well mikveh at Brandon Hill in Bristol. Other parallels can be made with other known Jewish cemetery sites. The Jacob’s Well mikveh at Bristol is only unequivocally identified as a Jewish site because of the recent discovery of its Hebrew inscription on the lintel above the spring. Before this discovery it was simply assumed to be an ancient and unusual part of the city waterworks, despite its proximity to the Brandon Hill cemetery. One might have had a difficult case arguing that it really was a Jewish structure associated with the nearby burial ground, even though we now know with a high degree of certitude that it was. A constant problem with Jewish archaeology is that in practice Jewish sites are largely identified because they contain anomalous and unusual structures or artifacts. Identification by this process may often be right, as Jewish structures or relics are often distinctive from Christian structures and artifacts or groupings of artifacts. However this leaves the danger that anything which is archeologically unusual can be swiftly and perhaps erroneously dubbed as ‘Jewish’, if some basic Jewish connection can be made with the location. It is normally only the discovery of a Hebrew inscription or Jewish artifact that enables a definitive rather than speculative identification to be made. This problem can be readily exemplified with the medieval York burial ground at Jewbury. During the course of the excavation of the cemetery it was soon decided that the remains and the site were somewhat unusual, but it then took a long time for the various archeologists and authorities to evolve their views and conclude it was actually a Jewish cemetery. Even now there is no definitive evidence it is Jewish, as no grave markers were found or any grave goods, its identification is circumstantial. One additional piece of evidence that appears to swing the argument towards the mikveh theory is the assertion by the historian Salter, that there was a substantial and richly built Norman building on the site before the hospital, of an unknown use and identity. Fragments of the building were preserved and recorded – they were various architectural mouldings, including two of the quoin stones from the side or arch of a doorway or window, probably the latter. The fragments are decorated with chevron work, which Salter dates to 1060-1180, and they are in transition Norman style. They are of considerable interest because, ‘they alone of the stones, which we have seen, belong to a building of a period considerably earlier than the charter and chapel of Hen III. They are the sole material evidence of buildings on this site as old as, or slightly older than, the charter of Hugo de Malaunay in 1194’. In short Salter argues that there was a building on the site exactly contemporary with the cemetery. If it is the case that it is Jewish mikveh, then there is the remarkable circumstance in which a Jewish ritual bath was reused for Christian purposes, and became integral to a Christian place of worship. I am inclined to accept the view that it was a mikveh, but such identification can only be circumstantial at the present time. The culvert or mikveh was dismantled on excavation and is now incorporated into a wall backing the terrace of the college bar. It may be inspected by those with access to the Junior Common Room of the college. This concludes the survey of the history of the mikvaot in Oxford. When the new mikveh is built, the Chabad House Mikveh, will be a revival of a unique aspect of Oxford’s antique medieval past and a vivid modern symbol of Jewish continuity in the City. The Cowley Road mikveh will provide a much-needed facility for not just Oxford, but a wide area around, and will add to the diversity of Jewish life now available in this university town. Perhaps in another 800 years future Jewish historians will be speculating as to the history, existence and whereabouts of the Chabad Mikveh of Oxford! Final planning approval has been given for the building of the first Mikveh in Oxford on the site of the Oxford Chabad House. On the brink of this exciting venture, it is interesting to reflect on the history of the idea of a Mikveh in Oxford. The modern established Oxford Jewish community dates back to 1842. In 1845, an Anglo-Jewish provincial questionnaire by Chief Rabbi Nathan Adler documents for Oxford a paid shochet, 4 Jewish families and 20 individuals. The synagogue was in a private room. It is most interesting that in this questionnaire, to the question regarding a Mikveh, it states, there is ‘not yet’ a Mikveh. Professor David Lewis notes in his book, Jews of Oxford, that other similar provincial Jewish communities responded to the Mikveh question with a simple ‘no’. He gives this credit to the founders of the modern Oxford Jewish community for having the vision, desire, hope and trust that one day a Mikveh in Oxford would be built. This wishful comment might have been due to the extension of the railway to Oxford in 1844, and the subsequent sudden expansion of the Jewish community, consisting of mainly merchants. Indeed, in 1849 a synagogue was opened at Paradise Square off Castle Street. In 1893 the synagogue had fallen into an irrelevant old age and a community of fifty congregants acquired a new place for a synagogue, which was originally built as a lecture room, in Worcester Terrace. However, the need for a Mikveh was not evident as the community at this time was dominated by Jewish undergraduate students. During the Second World War, the community went through a drastic change when refugees arrived from Europe - including London - to escape the bombing and settled in Oxford. The community increased in size to 1000 members, the largest since the 13th century. Three other synagogues were also established during that time, two in Headington and one in Cowley, ‘the Cowley and Iffley minyan’. However, after the war there was steep numerical decline and Mr. Weinberg, the last serving minister of the synagogue, left for South Africa. Many Jewish institutions, which had opened to help with the influx of Jewish refugees also closed. Thus, the possibility of building a Mikveh in Oxford might have slipped away. In 1972 the synagogue became run-down, and the area slummy, thus, the decision was made to buy a new property on Richmond Road/Nelson Street where the Oxford synagogue still stands today. More recently, since 1988, Lubavitch Foundation opened a Chabad Centre at 75 Cowley Road, which is within walking distance of the City Centre and all the Oxford colleges. Rabbi Eli Brackman serves as the rabbi and runs the Chabad House together with his wife Freidy. 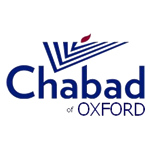 The Oxford Chabad House works in tandem with the local synagogue and is at the heart of Jewish life in Oxford, providing hospitality for community and students with open Shabbos dinner every week for up to 50-60 people, regular classes, explanatory services and a kosher shop. Apart from serving the students during the six-month university year, the Chabad House is active all year round as a Jewish Centre for tourists, academics attending conferences and the local community. A hundred and sixty three years on from the establishment of the modern Oxford Jewish community, it has grown to three hundred and fifty families. Furthermore, due to the development of the M40 and fast train line to London, Oxford has become almost a London suburb! At this point in the history of the Oxford Jewish community, one can confidently say that the community is ready to build its first Mikveh. It might have taken a century and a half to actualise the fervent wish of the founders of our community, but in the words of the great Jewish sages, ’a hopeful wish can be unknown prophecy.‘ Surely the founders of the modern Oxford Jewish community would be delighted at this new development. According to plan, the Mikveh, designed by Thom Fehler Architects of London, will be built before the end of the year. The support of the community can help make this a reality.